A new article explores how Byzantine doctors treated people those suffering from lycanthropy, a mental disorder where a patient believes he or she is, or has transformed into, a wolf and behaves like one. This disease is the basis for the legendary werewolves. In "Lycanthropy in Byzantine times (AD 330–1453)," four scholars from the University of Athens examine the writings of six Byzantine physicians to see what they believed lycanthropy was and how it should be treated. On Lycanthropy. Persons affected by lycanthropy go out at night time and wander among the tombs. You can recognize them from the following signs: they are pale with dry, dull and hollow eyes, without tears, the tongue extremely dry and without saliva. They are very thirsty and their legs are covered with scars from frequent stumbling. You must know that lycanthropy is a type of melancholy that must be treated by bloodletting until fainting, and offering an appropriate diet and baths with sweet water. Purgation by the hiera of colocynth must be applied twice or three times, and then use the viper theriaca and the other healing methods for melancholy. When the disease is approaching, you must sedate the patient by the use of wet compresses and administration of opium, rubbing the ears and the nostrils, a somniferous method. Meaning at the same time misanthropy. Pale, dry, sad and careless of his appearance. Lycanthropy is a kind of melancholy making the affected persons wander at night-time, visiting the tombs and the deserts like wolves, and come back in the morning as their human figure and stay at home. In any case, they have ulcerated legs and feet because of falls on stones and thorns; they have dry eyes and tongue and feeble vision. Some patients fear death while others desire it. Some patients avoid speaking and remain silent and sad while others try to converse with people. The writers of the article note that these Byzantine physicians saw lycanthropy as a type of melacholy or mania, and that change into an animal was the patient's delusional fantasy. Byzantine medical writers often dealt with mental disorders in their works, including epilepsy, frenzy, dementia, melancholy, mania, lethargy, insomnia, depression and paranoia. The article also compared these views with those from Western Europe during the Middle Ages and Early Modern periods, where it was seen as some kind of divine curse or demonic possession, and reacted by killing people who acted like wolves. Others believed they were heretics like witches, leading some authorities to go on campaigns to arrest and execute them. One 16th century French judge was responsible for burning over 600 witches and werewolves. The article notes that a Byzantine emperor, Justin II (AD 565–578) may have suffered from this mental disorder. From the first years of his reign, Justin showed signs of a severe psychiatric illness, which included walking around the palace barking or mewing, and imitating dogs’ and cats’ behaviour. The emperor also threw objects out of the palace windows during his explosions of wrath and on one occasion demanded that Orthodox Patriarch wear a woman’s hat. The article "Lycanthropy in Byzantine times (AD 330–1453)", by E. POULAKOU-REBELAKOU, C. TSIAMIS, G. PANTELEAKOS1 and D. PLOUMPIDIS, is found in Volume 20, Issue 4 of the journal History of Psychiatry (2009). A new Grammar will be the first comprehensive description of the medieval and early modern Greek language. For the past five years, a team led by Professor David Holton of Cambridge University has been gathering, analysing and organising linguistic data for a new Greek Grammar. Co-directed by Professor Geoff Horrocks, the project is staffed by two full-time research associates, Dr Notis Toufexis and Ms Marjolijne Janssen, and two honorary consultants, Dr Io Manolessou and Dr Tina Lendari, and is funded by the Arts and Humanities Research Council (AHRC). Greek is one of the world’s oldest recorded languages, with a documented history spanning 34 centuries. Although scholars have analysed and described the Greek of the Classical, Hellenistic and Roman periods in detail, the linguistic situation is much less studied after the end of Antiquity. At around 1100 AD the beginnings of the modern vernacular first became evident, and over the next 600 years the language underwent significant changes, with the medieval vernacular gradually acquiring the morphological and syntactic features that are characteristic of Greek today. The Grammar spans a geographical area from southern Italy to the Black Sea, encompassing written texts of all kinds, and giving a full account of linguistic developments within this period. It is a high-tech project, using electronic databases and digitised corpora to store and sort a mass of information. The Grammar will contain a full description on all levels (phonology, morphology, syntax); information about the distributional patterns of variant forms and old vs. new formations; spelling and orthographic conventions of the period; and dialectal variation. It will also examine crucial diachronic issues, giving a full account of linguistic developments within the period, with information on the dating, first appearance and spread of various phenomena (looking both backwards to Ancient Greek and forwards to Modern Greek). Past linguistic scholarship on Medieval Greek will be re-evaluated; textual documentation and bibliographic guidance will be given for each phenomenon examined. Once completed, the Grammar will be published by Cambridge University Press. For more information, please go to the Grammar of Medieval Greek Project website. Did Elephants doom the Norse in Greenland? A new article is examining the theory that Greenland's medieval Norse settlements were ruined by the collapse of the trade in walrus tusks, after ivory from elephants became more easily accessible for artisans in Europe. In her article, "Desirable teeth: the medieval trade in Arctic and African ivory," Kirsten Seaver criticizes that idea, and puts forward her own theory about why the Norse settlers mysteriously vanished from Greenland sometime during the 15th century. In 1998, Danish archaeologist Else wrote an article which suggested that in the beginning of the fourteenth century, a surplus of reasonably priced elephant ivory from Africa caused ivory from walrus tusks to lose its market share, which were so catastrophic that it eventually led to the collapse of the entire Norse Greenland colony. Ivory has been a prized commodity in Europe and Asia since antiquity, with ports along the north African coast controlling much of the trade. When Norse settlers arrived in Greenland during in the 10th century, they soon found that walrus ivory could be a profitable trade. Roesdahl believes that this trade went through Norway and would have been a cheaper alternative to elephant ivory. Several carved tusks have been found among the treasures of European rulers, particularly Scandinavian kings. But this trade floundered by the fourteenth century, according to Roesdahl, as trade between Africa and Europe grew, allowing for more elephant ivory to be exported to the continent. Seaver disputes the notion that this would have undermined the Greenland walrus trade. She writes, "Prior to 1500, it is highly unlikely that there was a drop in the price of elephant ivory capable of displacing walrus tusks in the market, even in periods when more African ivory appears to have been reaching European workshops. It is far more likely that, during periods of increased supply in response to European demand, the price of African ivory would have risen in step with the available quantities, because the transportation costs arising from Africa’s immense distances." Seaver adds in her own theory about the fall of the Norse colony, linking it to the increased activities of English fishermen in the North Atlantic. During the 15th century, the English were particularly interested in catching fish for food, in particularly cod, and were sailing out further outwards to find stocks. Seaver believes that the Norse in Greenland may have been attracted to this trade, and shifted their settlements to be closer to better fishing grounds. Seaver believes that large numbers of Greenlanders may have even tried to develop settlements in Labrador, with English support, which proved to be disastrous, as the climate in that portion of northern Canada was much more hostile than even in Greenland. "If the Norse Greenlanders migrated west to a stretch of Labrador chosen by others," Seaver writes, "as it appears likely that they did, they may have ended up on the bottom of the Davis Strait before even reaching the other shore, or they may have perished during their first winter in the new land from new diseases, from starvation, or simply from the bitter cold." What did the Viking Discoverers of America Know of the North Atlantic Environment? The grave of Cao Cao (AD 155-220), the founder of Wei Kingdom - the strongest and most prosperous state during the Three Kingdoms period, was discovered in Anyang City in central China's Henan Province, archaeologists announced Sunday in Beijing. 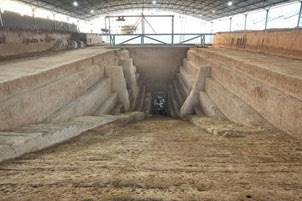 According to Chen Ailan, director of the Henan cultural heritage administration, the discovered tomb, close to the former site of Wei's capital Luoyang, was confirmed as Cao Cao's. A stone tablet discovered at the scene said it belonged to the king of Wei, and the remains in the tomb were determined to be of a man in his 60s. 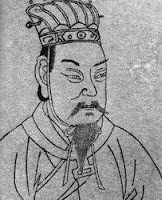 Cao Cao died at 65. The remains of two women were also found in the tomb. The first was in her 50s, and may have been an empress, while the other was about 25, and likely a servant. More than 250 articles, including gold, silver, and pottery, were unearthed from the 740-square-meter tomb, a size appropriate for a king. Archaeologists also found 59 engraved stone plates logging the name and amount of the articles buried in the tomb. Seven of the plates logged weapons "often used by the king of Wei." Also unearthed were a large amount of paintings drawn on stone plates, as well as a sword and scabbard. Cao Cao wrote in his will that his burial place should be simple, which corresponds to the fact that the walls of the tome were not painted and few precious articles were found, said Hao Benxing, head of Henan's Institute of Archaeology. Although further excavations are yet to be carried out, current evidences are adequate to prove this is Cao Cao's tomb, said Guan Qiang, director of the archaeology department of China's State Administration of Cultural Heritage. The tomb had been raided for several times before archaeologists started to excavate it in December 2008, Guan said. The police are working to retrieve the stolen articles, he added. Tablets carrying the inscription "King Wu of Wei," Cao's posthumous title, were seized from people who had apparently stolen them from the tomb. The governments of Henan and Anyang are planning to display the tomb to the public, Hao said. In the late second century, Cao Cao emerged as one of the main warlords in China as the Han Dynasty crumbled. He built up the state of Wei in northern China and successfully defeated several rivals. Soon after his death in 220, his son Cao Pi formally removed the last Han emperor from the throne and started the Wei Dynasty. In literature and legend Cao Cao is depicted as a ruthless and Machiavellian statesmen, who was said, "to be able enough to rule the world, but evil enough to destroy it." He is one of main characters in the famous 14th century novel, Romance of the Three Kingdoms. Cao Cao is also famous for the poetry he wrote, some of which has survived, and for his military treatise. A major underwater museum housing an 800-year-old merchant ship opened to the public in China this week. 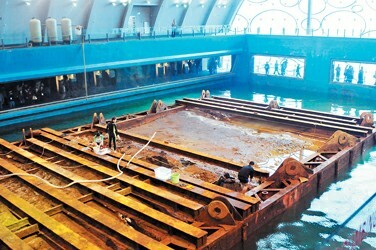 The 30 meter wooden vessel, named Nanhai No 1, or South China Sea No 1, lies in a "crystal palace" made of glass inside the Maritime Silk Road Museum. "Today marks a new journey for the ancient merchant ship," said Shan Jixiang, director of the State Administration of Cultural Heritage. It was discovered early in 1987 off Hailing island of Yangjiang. The debut of the ship will help Chinese scientists better conduct underwater archaeology and discover China's maritime and porcelain history, Shan said. The ship has been kept in water, but the environmental conditions, including the temperature, constituents and pressure, remain the same as the waters where it was found, said Shan. "The ship looks like it did before it was raised from the sea, and we built two underwater sightseeing corridors and a platform in the glass pool," Shan said. The vessel was moved to the pool after it was salvaged from the sea two years ago. The Guangdong provincial government invested nearly 200 million yuan ($29 million) for the construction of the 12,200-square foot museum, which started in 2005 and was completed last month. It also displayed several hundred precious relics salvaged from the wreck. The exhibits are only a fraction of some 6,000 items, mostly porcelain, found during initial excavations between August and September. "We hope more visitors can appreciate archaeologists' efforts in the discovery of the ship. The museum will allow more people to know more about rare and traditional Chinese treasures," Shan said. 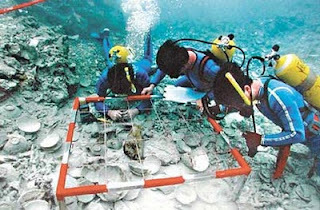 From 1989 through 2007, underwater archaeologists conducted eight surveys and trial excavations of Nanhai No. 1, determining the ship’s measurements to be 30.4 meters in length, 9.8 meters in width, and 4 meters in height. It rested in one meter of silt beneath 25 meters of water. The hull was well preserved, although the upper structure no longer existed. The major parts, including the main deck, the sides, and the supporting structures, were basically intact. And, intriguingly, in a cabin elegant porcelain ware and metal articles were found to be neatly laid out. It was believed that the salvage of Nanhai No. 1, the most important undersea archaeological discovery in China’s history, will offer significant material evidence for the study of the Maritime Silk Road, as well as the nation's history of seafaring, foreign trade, and shipbuilding. Archaeologists found more than 4,000 gold, silver and porcelain artifacts, and about 6,000 copper coins while the ship was still on the seabed. “Based on available information from he exploration, the entire ship is estimated to have 60,000 to 80,000 historical relics,” Wei Jun, research director from the Guangdong Underwater Archaeological Research Center, said. The neatly arranged articles in the cabin suggested that these were the primary cargo. Further investigations were conducted in 2004, when a huge number of copper coins were collected, the majority from different reigning periods of the Northern Song Dynasty (960-1127), with a lesser number from the Sui (581-618) and Tang (618-907) Dynasties and the Five Dynasties (907-1127). The oldest dated back to the Eastern Han Dynasty (25-220 A.D.), and the latest to the Southern Song Dynasty (1127-1279). Hence it was deduced that Nanhai No. 1 sank sometime around the Southern Song. Archaeological work on the site is expected to continue for up to ten more years. The ship was recognized as one of the oldest and biggest merchant boats sunk in Chinese waters during the Song Dynasty (AD 960-1279) and might confirm the existence of an ancient maritime trade route linking China and the West. A trade path linking the South China Sea and the Indian Ocean was opened as early as the Han Dynasty (206 B.C.-A.D. 220). Nevertheless, due to the limitation of navigational technology, merchant ships didn’t venture into far-ocean trading until the Song Dynasty (960-1279). Besides the area’s frequent storms, the jagged coastline along the Maritime Silk Road between the South China Sea and the Indian Ocean held great peril for ships of the past, with many submerged reefs in wait of misguided wooden vessels. It is thought that these treacherous conditions likely led to the sinking of Nanhai No. 1. Michael Prestwich, a highly respected medieval scholar, has weighed in on the debate about the value of historical biographies. Prestwich, a Professor of History at Durham University, and author of a biography about Edward I, penned the article, "Medieval Biography", for the next issue of the Journal of Interdisciplinary History. It details his thoughts on the issues raised by biographical approaches, focusing in on his area of research, 13th and 14th century England. Prestwich explains, "For me, history is about explaining, illuminating, and interpreting the past. To do so requires the collection of evidence, followed by a process of evaluating it, sorting it, and employing it to test different hypotheses. Some of the questions to ask arise from reading what other historians have written; others arise out of the evidence itself. Elements of the inquiry can also derive from personal preoccupations and interests. The results of these processes need to be written as clearly as possible, but, in the end, there are no final right answers." Prestwich notes some of the arguments against the writing of bibliographies. He notes that many critics of biographies say "that history is about much more than the lives of individuals; it is about the study of political, social, economic, and intellectual movements that are much more than the sum of those involved in them." He adds that many academics are not trained in writing the narrative style that is needed to make a good biography, and that many history departments actively discourage these kind of books. "There are good reasons why medieval historians, in particular," Prestwich explains, "should not write biographies; they face greater difficulties than historians of most other periods because of the remote nature of the evidence, which limits the insights into character and motivation that historians of more recent periods can expect to provide." But Prestwich also notes that biographies offer a refreshing alternative to some history, which can be dry and analytical, and written with little regard for its audience. He goes on to detail his approach to writing his book Edward I , which "was more a history of England in the time of Edward I than a pure biography." The article goes on to cover, not only his work, but other recent biographies written about English kings and other persons, showing where they have been valuable contributions to historians or where they have added just little to historical understanding of the topic. Prestwich also notes that biographies written for a popular audience can sometimes make conclusions unsupported by evidence, or put too much emphasis on irrelevant details (he cites the example that one author had to note that the floor of Edward II’s bathroom at Westminster had 2,250 tiles). Prestwich concludes, that "much good medieval history has been written in recent years in biographical form, and genuine advances in understanding have been achieved when historians have adopted this approach." But he tempers that approval by noting that it has its limitations, and that while, "biography has its place, but history is much more than the sum of men and women’s lives." Archaeologists in Norway say an ancient Islamic coin dating back to 805 AD was found just west of Oslo earlier this year. Houshang Khazaei, who is a researcher at the University of Oslo, said that the coin is an issue of Abbasid Caliph Harun al-Rashid, who ruled from 786 and 809 A.D. The coin is a silver dirhem of about three grams weight. It was minted at Mohammadiyyah in 805 A.D. in what is today Iran. Arab coins have been found before in Norway, but these are typically dated beginning in about 1000 to 1200 A.D. Last year, a hoard of 472 Arabic coins dating from a burial site estimated to date from about 850 A.D. that were recently discovered on the Swedish island of Gotland in the Baltic Sea. The coins in the Swedish find were said to have been minted primarily at Baghdad or Damascus, with some coins originating in Persia and North Africa. The names of the mints in Persia that may have been involved were not immediately announced, but could possibly have included Mohammadiyyah. The reign of Harun al-Rashid was marked by prosperity, particularly in the areas of culture, religion and science. Trade and diplomatic contacts were carried out between the Abbasids and European rulers during this period. Gold rather than silver coins dominated Eastern Europe and the Abbasid caliphate during this period, while the few coins struck in medieval Western Europe were primarily silver. To illustrate the extent to which coins were still used in the east during this period, in 806 A.D. al-Rashid forced the Byzantine Empire to pay him 50,000 gold coins immediately, to be followed annually by an additional 30,000 pieces as tribute. 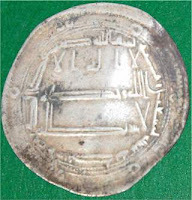 Silver dirhem coins were minted throughout North Africa and the Middle East during this time. Since coins were typically traded based on their metal content and weight, dirhems often functioned as an international trade coin, regardless of where the individual coin may have originated. It is likely that the coin recently found on the Hurum peninsula in Norway was brought there by Viking traders. A study on medieval peasants in England shows that what clothes and dress accessories were important to them and that were resisting attempts by the English elite to force them to dress in humble garments. Sally V. Smith's article, "Materializing Resistant Identities among the Medieval Peasanty," examines several archaelogical finds from rural villages throughout England, such as Wharram Percy and Bolton. Smith looks at the dress accessories that have been found at these sites, including the burial places, such as buckles, brooches and pins. The research finds that were few of these items were made of poor quality metal, with most made of copper or iron, and even one item made from gold. Smith writes, "that medieval peasants were not choosing items made using the ‘worst’ or cheapest material available." Secondly, over half of the objects were either decorated or were purely decorative in function. This is at odds with pictoral evidence about English peasants, where they are depicted as wearing very simple and bland clothes without decoration. These can be found in illustrations in the manuscripts like the Luttrell Psalter and in the stained-glass images found in churches. Smith concludes that "in purchasing and wearing these items, which would have been highly visible on peasant clothing, the peasants were resisting the imposition of an identity that only represented their bodies as humble, servile and labouring." She also points to several pieces of evidence to show how important dress was in medieval England, and how authorities tried to regulate what certain people wore. Church officials also stressed the people not wear fancy clothing. John of Reading, reporting on a later outbreak of the disease in 1365, blamed it in part on "the empty headedness of the English who remained wedded to a crazy range of outlandish clothing . . . They began to wear useless little hoods [and] extremely short garments which failed to conceal their arses or their private parts . . . these misshapen and tight clothes did not allow them to kneel to God or the saints." The article, "Materializing Resistant Identities among the Medieval Peasanty," can be found in the Journal of Material Culture, Volume 14:3 (2009). The City University of New York-Graduate Center in New York is hosting the Annual Graduate Student Conference on Medieval Studies on Friday, March 12, 2010. Organizers provided these details about the conference: "According to Aristotle, the social unit upon which political states depend is the family. Indeed, the family is a microcosm of human activity, an environment that, in many ways, determines how its members interpret the realities of their social, cultural, political, economic, and religious circumstances. "The family, however, is not a static social construct. From Late Antiquity to the Late Middle Ages, the changing landscape of the medieval world has helped to shape the nature and objectives of various kinship structures. Whether in the political and economic conflicts between the entrenched nobility and rising mercantile class, or in the religious conflicts resultant from the proliferation of heterodoxical or heretical groups, the Middle Ages involved constant attempts to renegotiate and redefine relationships among people both within and without the networks. "We invite papers from graduate students in all academic disciplines that address the role of the family and gender and the ways these categories relate to the construction of various cultural and socio-political identities. The CUNY Graduate Center Annual Medieval Studies Conference is one of the only student-run conferences in the Northeast. We hope to provide a stimulating and encouraging atmosphere within which students can share new work, shape ideas, and create new discourses. "Presentations should not exceed 20 minutes (approximately 8-9 pages of double-spaced text). Please submit a 250-word abstract and a brief biography (1-3 sentences) as an attached Word document to medieval.study@gmail.com by January 20, 2010. Please include the title of your paper and your e-mail address along with your submission." Possible topics include: Spiritual Devotion, Bridal Mysticism, Ecstatic Union Family, Bonds and Marriage Beds, Husbands and Wives, The extended family, Parents and Children, Fealty, Liege-Lord Bonds, Chivalric Code, Romance, Courtly Love, Friendship, Adulterous Bonds, The value of friendship, Conflicts of Love and Loyalty, Heterosexual/Homosexual Relationships, Homosocial/Heterosocial Bonds, and The priority of friendship over other intimate bonds. An archaeological project in Sweden has turned up evidence of Christianity in the area going as far back as the ninth century as well as the remains of the oldest known church in that country. Results of the project have been published in the latest issue of the journal Viking and Medieval Scandinavia . The project was started in 2005 and focused on investigating the traces left by the people who lived in Varnhem before the Cistercian monastery took over the site in the middle of the twelfth century. The results led to a new insight into when and how Christianity became established in south-west Sweden. Varnhem seems to have had continuous settlement from the third century BC until the middle of the twelfth century AD. Some pagan burial grounds were found in the area. The first church built on this site was a small wooden building raised around 1000. After some decades, this was replaced by a larger wooden church with a stone cellar under the nave in the west. The stone cellar’s walls are approximately 2 meters high and well preserved. They are the oldest known dated stone walls in Scandinavia north of Denmark. The church includes a tomb made of limestone, with a female skeleton dating to around 975 AD. The archaeologists found that the church was expanded on several occasions, replacing wooden walls with stone, until it reached a size of 15 meters by 8 meters. The authors state that the building of churches in that part of Sweden became popular in the twelfth century, adding that having a church, preferably with stone walls, "must have been the ultimate status symbol in eleventh-century Scandinavia." The archaeologists discovered runestones on engraved on tombstones in the churchyard. One of them says, "Kättil erected this stone in memory of his wife, Kata, Torgil’s sister." Around the church, there is a large Christian burial site with at least two thousand graves, with the females buried on the northern side and males on the southern. This was a common practice in Scandinavia during the Middle Ages. "The dating of the graves is particularly interesting," the autors write. "It shows that the burial site was used for Christian interments continually from the late ninth century to the late twelfth century, that is, a period of something between 250 and 300 years. A score of human skeletons have been dated so far. Of these, ten date from before AD 1000, with the oldest being from the late ninth century. There is thus clear evidence of Christianity being firmly established in these tracts by at least AD 900, that is, roughly one hundred years earlier than previously considered." Research on the remains have only just begun, but some have already been found with grave-goods, including knives, coins, buckles and individual glass beads. One male was found with a miniature stone altar, which may indicate that he was a priest or religious official. The authors conclude, "The investigations in Varnhem will now be part of the debate on whether, and to what extent, Christianization was a process that grew from the lower class of society or one that began with the upper class adopting Christian practices." The property where the church was found was donated to the Cistercians in the 1150s, where they established Varnhem Abbey, one of the largest and most powerful in Scandinavia. The article, "The Varnhem Archaeological Research Project: A New Insight into the Christianization of Vastergotland" by Maria Vretemark and Tony Axelsson, appears in Viking and Medieval Scandinavia, Volume 4 (2008). Over twelve generations of a 'middle-class' Muslim family living in the Crown of Aragon have been analyzed by a scholar, revealing that they had become prosperous and influential, despite having to live under Christian rule. In his article, "The De Reys (1220-1501): The Evolution of a 'Middle-Class' Muslim Family in Christian Aragon", Brian A. Catlos tries to show that the idea that the Christian re-conquest of Spain did not leave its Muslim population as a group of "marginalized agriculturalists, isolated and exploited, persisting at the whim of their Christian lords and neighbors." Instead, these Muslims, also known as the Mudejars, were a dynamic group that could thrive under Christian rule and be able to assert their rights. The article goes on to detail the history of over twelve generations of a Muslim family known as the de Reys, going from the thirteenth to the sixteenth centuries. Catlos makes use of a variety of sources including chancery registers, judicial transcripts, correspondence, ecclesiastical cartularies and notarial receipts, all of which are readily available from the Crown of Aragon. The records begin with a Jucef filio Çalema de Rey, who was living as a shoemaker in the village of Monflorite. In 1220, he was able to gain exemption from royal taxes. About twenty years later, he received an appointment to be the bailiff in Monflorite, and moved to the nearby town of Huesca, where he bought a shop and started his business just outside the city's gates. His particular situation allowed him to avoid paying any taxes and set about starting a successful career. Catlos then goes on to detail the lives of his descendants, who lived in Huesca and held a variety of careers, including shoemakers, tailors, barbers, merchants, and property dealers. Some even got involved in politics, serving in various positions within the local Muslim community. The author even finds that two family members were even murdered. One of them was Mahomet de Rey, who in 1357 was duped into forming a partnership with another Muslim from out of town, and when they traveled back to his home, his partner turned on him and with a group of associates killed him and took the large amount of money - 1,200 solidi - that he was carrying. They would have gotten away with their crime if it was not for the efforts of the tutor hired by Mahomet to teach his two sons, who helped to apprehend the criminals. One reason for the success of the de Rey family was that they were able to avoid paying taxes, despite the fact that the original exemption for Jucef filio Çalema de Rey should not have been hereditary. But various generations were able to maintain there tax exemptions, sometimes by making use of their contacts (including one Aragonese queen) to gain influence with royal officials. But their luck ran out in 1456, when an inquest concluded that they had to pay various taxes. After this the family, according to Catlos, had "modest prosperity, as family members are recorded buying and selling property, borrowing money from Jews, lending it to Muslims and Christians, and engaging in partnerships with other Muslims and with Christians." The last mention of the de Rey family in the records comes in 1501, when a Mahomat de Rey was elected by the local Muslim community to serve as the offical whose job it was to ensure the fair collection of taxes. In 1516, the Muslim population was forced to convert to Christianity by King Charles II, ending the independence of the Muslim communities. What happened to the de Rey family is unknown - they may have converted, or had to leave Huesca and the Iberian peninsula for North Africa. Catlos, concludes that "the history of the de Reys provides a rare glimpse of a mudéjar “middle class” in the Kingdom of Aragón that was undoubtedly more numerous than historians have previously assumed. Moreover it confirms that the ‘patriciate’ to which the de Reys briefly belonged in the late-thirteenth and early-fourteenth centuries was not a self-conscious and closed class, but rather, merely the portion of the upper strata of a diverse Muslim community which was most directly involved in the Christian colonial dynamic." The article "The De Reys (1220-1501): The Evolution of a 'Middle-Class' Muslim Family in Christian Aragon", is published Viator: Medieval and Renaissance Studies , Volume 40:2 (2009). Historical geographers appear to be increasingly occupied with the modern or post-Enlightenment world, with ‘medieval geographies’ becoming, for many in the field, a terra incognita. Yet over the past century, the Latin, Byzantine and Arabic worlds of the Middle Ages (c.500-1500CE) have been a key focus for geographical study. Whether in charting geography’s medieval history and historiography, or in reconstructing spatial histories of medieval landscapes, territories and societies, geographers have thus recognized the importance of geographies before the modern age. However, during the past three decades, these geographies ‘in’ and ‘of’ the Middle Ages have noticeably shifted further to the margins of Anglophone historical geography, at a time when, paradoxically, the geographical and spatial are growing concerns among medievalists, for example in art and literary history, and in architecture and archaeology. In the context of these shifting disciplinary terrains, this session seeks to make space for medieval geographies by providing a forum for recent and ongoing studies that encompass both geographies in and of the Middle Ages. Papers of an empirical or theoretical nature are sought, particularly those engaging in critical ways with medieval geographies and which encourage further cross-disciplinary exchange with medievalists in cognate areas. Far from being a terra incognita, the session will expose some of the contemporary resonances of medieval geographies, and one of its intended outcomes is to entice historical geographers to consider the spatial and temporal continuities, discontinuities and connections that run between the ‘medieval’ and the ‘modern’. Paper proposals and abstracts should be sent to: Dr Keith Lilley (k.lilley@qub.ac.uk) by January 31, 2010. The session is being organized by Dr Lilley (Queen's University Belfast) with Veronica Della Dora (University of Bristol) and Stuart Elden (University of Durham). A new article on homicides in the medieval London suggests that the homicide rate was relatively low, and was lower than the rates for other English counties from the time. The conclusion comes from the article, "Peacekeepers and Lawbreakers in London, 1276-1321," by Henry Summerson, which has been published in the latest volume of Thirteenth Century England. Summerson examines the roll of crown pleas from the London Eyre of 1321, which detail various criminal events in England, including homicides from 1276 to that year. During that 44-year period, the author finds that 674 deaths that were likely murders that took place in London. The medieval records often give lurid details of these crimes, such as when two men take a prostitute to a latrine and then get in argument over who gets to have her first. The argument leads to one man striking the other dead. In another case, a chaplain persuades a young man to grant him sexual favours in the church of All Saints Barking, and then while sodomising him with a stick, inflicts a mortal injury. The most serious crime took place on June 16, 1298, when 144 people were killed near St. Paul's Cathedral, after a group of sixteen armed men attacked a crowd of paupers - the people either were killed as the bandits cut down them while robbing them, or were crushed and trampled in the panic to escape. But Summerson finds that despite these incidents, the homicide rate averaged only about 15 murders a year, which he finds low, especially compared with other English counties. For example, Essex averaged 25 murders a year between 1272 and 1285, while Devon had close to 37 homicides on average between 1268 and 1281. The author attributes the low homicide rate to a variety of factors, including the involvement of civic authorities, namely the Mayor and Aldermen of London, in enacting and enforcing laws to keep the peace. Laws against the carrying of weapons, or being out at night, were frequently issued. Meanwhile, an early form of a police force had developed in London, where the Sheriff of London could have a permanent force to assist him in finding and apprehending criminals. 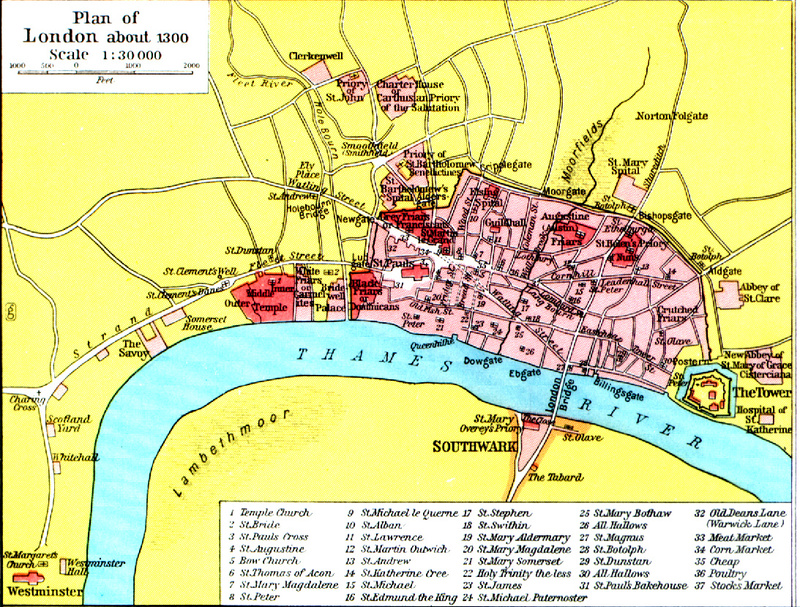 By 1319 there were twelve serjeants working in London. Summerson adds that other institutions, such as the church and the local guilds, probably also played a role in peacekeeping throughout the city. He concludes that Londoners had a "fair degree of success" in keeping violent crime under control. The study finds that most of the people suspected or convicted of homicides in London were poor - of the 850 felons named in the eyre, 668 were said to have no chattels. Summerson adds, "Paupers and vagrants could be found anywhere, but the geographical pattern of London homicide shows that it was most frequent where poor people were likeliest to be found, in three wards in the north-west suburbs extending well outside the city walls - Aldersgate, Farringdon and Cripplegate - and in some of the wards fronting the Thames, where cheap labour was in demand on the wharves and the presence of sailors probably had an additional destabilising effect." Summerson also notes that "Londoners were no more successful than anyone else when it came to arresting suspects and convicting those that were caught." 750 of those accused of a homicide escaped arrest, while a further 112 were acquitted or pardoned. Only 104 men and women described as killers were convicted and hanged, or died in prison. An accurate model replica of one of the most precious medieval maritime finds of recent times in Wales will soon be complete - thanks to an innovative manufacturing process perfected at Cardiff University. The Newport Medieval Ship, which dates back to the 15th century, was discovered in the banks of the River Usk in June 2002. 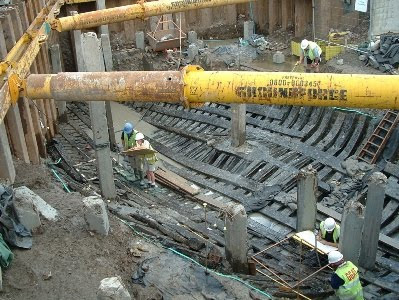 Excavated by a team of archaeologists and lifted from the ground timber by timber, international specialists have been cleaning and digitally recording all 1700 ship timbers for the last six years to produce a digital record of the ship's structural elements, specifically the hull. These three-dimensional digital recordings are now being used by Cardiff University's Manufacturing Engineering Centre (MEC) to build an accurate virtual solid model of each timber, as part of a four-year project to reconstruct the ship’s original hull. The ShipShape project is being led by the University of Wales Lampeter in conjunction with Newport City Council, and is funded by the Arts and Humanities Research Council. The project will see the Ship produced in a precise 1:10 scale model format, using the timbers and MEC’s Selective Laser Sintering expertise. Selective Laser Sintering is a fast process using laser beams to selectively melt successive layers of fine plastic dust. Wherever the lasers are directed, the plastic dust is melted. When the lasers are switched off, the powder remains unmelted, and creates a void. This will allow the archaeologists to accurately model all of the major fastener holes on the ship timbers. Nigel Nayling, principal investigator at University of Wales Lampeter said: “The ship remains have been distorted over centuries of burial and the original size and shape of the vessel cannot be readily determined. Traditional approaches to the research question of what the vessel would have looked like have included the construction of scale research models in fragile materials such as card, which are not suitable. We needed to identify a technology which would develop a more robust end product, and one which would deliver much more accurate and detailed results. Upon completion, the model will serve as a three-dimensional blueprint on which to base the eventual reassembly and display of the vessel. It will measure nearly 3.5 meters in length and 0.8 meters in width, and will be on display for the public. The ship was originally around 80 feet (25 metres) long, making it quite capable of continental voyages. Although there were no initial plans to preserve the ship in its entirety, local people campaigned eagerly to ensure this. Initial estimates suggested that preservation would cost about £3.5 million and this sum was eventually found by the Welsh Assembly Government and Newport City Council. All of the ship's timbers have subsequently been raised and transferred to a dedicated industrial unit which the local council describes as "now the biggest wood conservation centre in the UK", where preservation and research continue. Due to its size, it has not been possible to display the ship in the basement of the new arts centre, as was originally proposed. Artefacts found in the ship suggest that it was trading with Portugal in the fifteenth century. The abundance of artefacts linked with Portugal argues even that the ship was also built there. Dendrochronology has given a likely felling date of 1465 and 1466 for some of the timbers used in both its construction and its repair. Remnants of a cradle found beneath the ship suggested that it had been berthed for repair but then abandoned. The traditional view is that Harold was killed by an arrow that struck his face or eye. The scene is part of the Bayeux Tapestry, and is found in chronicle accounts as early as 1080. But Dennis points to other works, such as Bishop Guy of Amiens' Song of the Battle of Hastings, written one year after the battle, and a 12th century work by a historian named Wace, which state that during the critical part of the battle, William assembled several knights and charged at the Anglo-Saxon king. When they reached Harold, they hacked him to death. Dennis explains that the story of the arrow in the eye may actually have been deliberate propaganda put out by King William's court: "For Duke William, it was a convenient way for the king to have met his end. If Harold had been killed by a fateful arrow, his death could be directly attributed to the will of God." Furthermore, because Harold had been crowned and anointed in a church ceremony, his reign had the officially blessing of the Catholic church and the Papacy, so their were legal problems over whether or not William was a legitimate ruler. "The new king did want to be implicated in Harold's violent end," writes Dennis, "nor could he afford to undermine the legitimacy of his own accession by admitting responsibility for an anointed king's death." Chris Dennis is currently completing his PhD at Cardiff University. Using the same kind of genetic marker that forensic scientists use for human DNA fingerprinting, the team from the University of Cambridge examined DNA from the chloroplasts of 12 widely grown grape varieties. Chloroplasts are structures in plant cells where photosynthesis takes place. Like most plants, the DNA in chloroplasts of grape vines is inherited from the mother. The scientists looked at microsatellites - regions of DNA that are highly variable and are therefore useful for tracking family trees - and found that Gouais blanc was the maternal parent of Aligoté, Auxerrois, Bachet, Chardonnay, Franc noir, Gamay noir, Melon, Romorantin and Sacy. Pinot noir was the maternal parent for Aubin vert, Knipperlé and Roublot. Scientists and wine producers are interested in grapes' maternal line because the mother provides more of the offspring's DNA than the father, and so is more important in genetic terms. In other economically significant plants the chloroplast genes can contribute to important characteristics such as tolerance to cold and fungal attack. According to Professor Christopher Howe of the University of Cambridge, one of the study's authors: "It is ironic that the despised grape Gouais blanc was not just a parent for several of the world's best-known and most important varieties, such as Chardonnay and Gamay noir, it was the maternal parent, providing additional DNA and potentially determining important characteristics of the offspring." "This is a striking conclusion, as Gouais is generally considered a highly inferior variety, and its cultivation was banned for many years in parts of Europe." Both Pinot noir and Gouais blanc were widely grown in north-eastern France during the Middle Ages. But while Pinot was grown in vineyards owned by the church and aristocracy, peasants grew Gouais. Between the late Sixteenth and the Eighteenth Centuries, several attempts were made to ban Gouais blanc. In 1732, an act of the Parlement of Besancon tried to eliminate the grape, describing it as "rustic", "inferior" but also "high-yielding". The Parlement of Metz took similar steps the same year. Although their attempts to ban the grape failed, Gouais largely disappeared at the end of the Nineteenth Century and now survives only in a few vineyards and reference collections around the world. 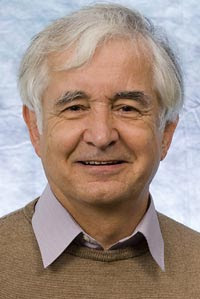 Co-author of the study John Haeger of Stanford University said: "Gouais was held in low esteem in the late medieval and early modern periods. Typically, varieties of this sort were grown on flat land by peasants. Good vineyards, on the other hand, growing better and lower yielding varieties were owned and farmed under the supervision of the church or nobility." "Many of the 'bans' were designed either to favour aristocrats and monastic orders over peasants, or force more arable land into the production of cereals and legumes to eliminate food shortages." The results are published this month in Biology Letters. Research into the medieval women from a village in Yorkshire, England, has revealed that they were much stronger and bigger boned than their contemporaries in urban areas. Dr. Simon Mays, a senior archaeologist with English Heritage, studied 120 sets of women's bones from Wharram Percy, a village on the Yorkshire Wolds abandoned during the Later Middle Ages. "This might seem obvious given that Wharram was a poor rural community," he adds, "but in fact only scanty documentary evidence exists describing the lives of medieval peasant women. "The research underlines the way that the sexual division of labour was much less marked in rural areas than in the cities of the time. The evidence from the Wharram bones speaks volumes, and reinforces that notion that life in the village was far from a rural idyll." Wharram Percy is perhaps the best-known deserted medieval village in England, after it was rediscovered in 1948 and saw extensive archaeological research over the next forty years. The village flourished between the 12th and 14th centuries, but during the 15th century it declined because of changing farming practices and economic reasons. By the early 16th century, the remaining homes were knocked down and the area was turned into pasture land for sheep. The site is now run by English Heritage and is open to the public. A historian has called the newspaper and television coverage of the Staffordshire Hoard discovery "crass and trivial." In a column for History Today, Justin Pollard, author of Alfred the Great: The Man who Made England and Secret Britain: The Hidden Bits of Our History, decries the media coverage on the find, which was discovered earlier this year near Staffordshire. Details of the discovery, which date back to the Anglo-Saxon times, were released in September. It has been recently valued at £3.3 million. Pollard writes, "The newspaper headlines (and even the BBC) chose to cast the find not in terms of the exceptional quality of the metalwork, the unusual selection of items in the hoard or the historical background against which the finds were made. Instead the extraordinary collection was referred to as little more than a lump of gold bullion." He adds that by emphasizing the monetary value of the gold in the Staffordshire Hoard, the media are encouraging "nighthawks - gangs that ruthlessly raid archaeological sites and protected monuments with metal detectors hoping to find treasure." Pollard also offers some views about the nature of the Anglo-Saxon hoard itself, writing "it is almost exclusively a collection of 'male' metalwork - military pieces - ... these might be the war trophies of a successful warrior, stripped from the weapons of vanquished foes; they might be the gleanings from one bloody battlefield or perhaps a lifetime's acquisitions." He ends by stating that the Stafforshire Hoard's importance is in its history, and that "we should be celebrating as the story it may one day tel us will be so much rarer than gold." 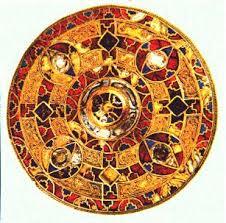 Click here for more information about the Staffordshire Hoard. With millions of documents filling almost 53 miles of shelf space, the Vatican Secret Archives obviously still hold some secrets. Despite the aura of mystery surrounding the archives, the Vatican actually encourages academics to research its holdings and has worked with a Belgian publishing house to bring 105 of the most important, or curious, documents to the public. The coffee-table book, The Vatican Secret Archives, was published by VdH Books in Dutch, English, French and Italian. Cardinal Raffaele Farina, the Vatican archivist, wrote in the introduction that he knows popular books and movies love to imply there are deep dark secrets intentionally hidden from public view. But, as Bishop Sergio Pagano, prefect of the archives, explained, the "secret" in the archives' title comes from the Latin "secretum," meaning "personal" or "private." In fact, Pope Leo XIII ordered the archives opened to researchers in 1881, and currently 60 to 80 scholars work there each day, poring over the parchments, ledgers, letters and texts. A 13th-century letter from the grandson of Ghengis Khan to Pope Innocent IV includes, in its seal, one of the earliest examples of written Mongolian. In the letter, the Mongol emperor orders the pope to "pay service and homage to us" (an invitation Innocent did not accept). One of the many reminders of the papacy's once-great geopolitical role is found in a 1493 bull of Pope Alexander VI, granting Spain's King Ferdinand and Queen Isabella dominion over the New World discovered by Columbus the previous year. A 1586 letter to Pope Sixtus V from Mary, Queen of Scots, was written a few months before she was beheaded for plotting against her cousin, England's Queen Elizabeth I. Mary asks forgiveness for her sins and warns the pope of treacherous cardinals. In a 1550 letter, Michelangelo complains that a long papal conclave has interrupted his work on the dome of St. Peter's Basilica, and he needs money. 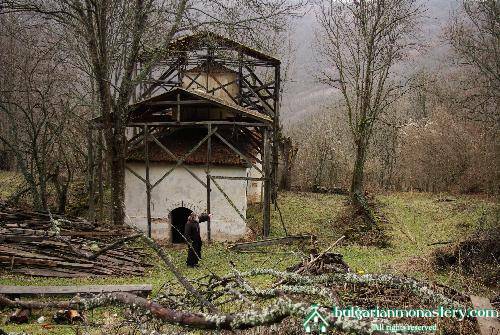 After it is restored, the monastery will be included in a tourist route, which will also comprise museums of ceramic art and yogurt, an eco path along the Trun Canyon, and the Poganovo Monastery in Serbia. The second one, Carolingian (8th-10th centuries) is marked by a change in funerary practices, where the bodies are unadorned, wrapped in a shroud and buried directly in the earth. It is believed these changes were due to restrictions by the Catholic church. Noisy-le-Grand is first mentioned in the History of the Franks, by Gregory of Tours at the end of the 6th century AD, in which he mentions a "royal villa" and an oratory for prayer. The archaeologists hope to learn much from the remains, including indications about the living conditions of the population of Noisy-le-Grand between the 5th and 10th centuries, their demographic profile, kinship links, and nutritional deficiencies. Curated by the Regional Archaeological Service (DRAC Île-de-France), this excavation covers 1,200 square meters, in an area that is about to go under construction for a new building complex. The rise of the Carolingians or the decline of the Merovingians? The University of Nebraska-Lincoln has promoted its Medieval and Renaissance Studies program, touting its flexibility to allow students to learn about what part of the period interests them. For instance, he said, a student might want to study the Elizabethan period in England in the time of Shakespeare. Carole Levin, the director of the department and a history professor, said students can study a whole range of countries and get a global perspective. “It comes from a whole group of departments,” Levin said. 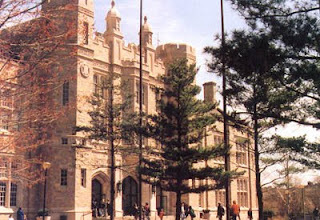 These departments include English, history and art history. Students might use the degree to go into the teaching profession, seminary or art history. Lefferts said the program is one of the less credit-heavy degrees available in the university. “What we find, usually, is that it is used as a double or triple major,” he said. Many of the courses required for a student’s first or second major overlap with the ones found in the Medieval and Renaissance program. Past speakers have included Hannibal Hamlin, who spoke about “King Lear,” which was the play the drama department performed. Next semester an art historian and a women’s historian will be speaking, Levin said. “Any way the lecture can mix with different departments at UNL is wonderful,” she said. Universal Pictures has released the first trailer for the Robin Hood movie that will be coming out in 2010. Directed by Ridley Scott, the film stars Russell Crowe along with Cate Blanchett and William Hurt. It has been described as a more gritty portrayal of the Robin Hood legend. "Oscar winner Russel Crowe stars as the legendary figure known by generations as 'Robin Hood,' whose exploits have endured in popular mythology and ignited the imagination of those who share his spirit of adventure and righteousness. In 13th century England, Robin and his band of marauders confront corruption in a local village and lead an uprising against the crown that will forever alter the balance of world power. and whether thief or hero, one man from humble beginnings will become an eternal symbol of freedom for his people. "The untitled Robin Hood adventure chronicles the life of an expert archer, previously interested only in self-preservation, from his service in King Richard's army against the French. Upon Richard's death, Robin travels to Nottingham, a town suffering from the corruption of a despotic sheriff and crippling taxation, where he falls for the spirited widow Lady Marion (Cate Blanchett), a woman skeptical of the identity and motivations of this crusader from the forest. Hoping to earn the hand of Maid Marion and salvage the village, Robin assembles a gang whose lethal mercenary skills are matched only by its appetite for life. Together, they begin preying on the indulgent upper class to correct injustices under the sheriff. "With their country weakened from decades of war, embattled from the ineffective rule of the new king and vulnerable to insurgencies from within and threats from afar, Robin and his men heed a call to ever greater adventure. This unlikeliest of heroes and his allies set off to protect their country from slipping into bloody civil war and return glory to England once more."